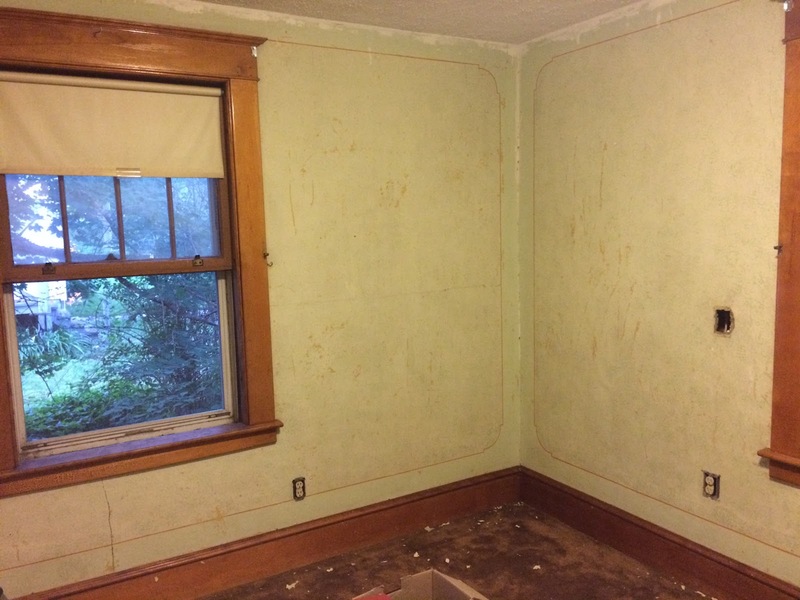 When last we left the back bedroom, a whole army of friends had stripped all of the wallpaper. They were enthusiastic but not very detail-oriented, so there was still a fair bit to do. 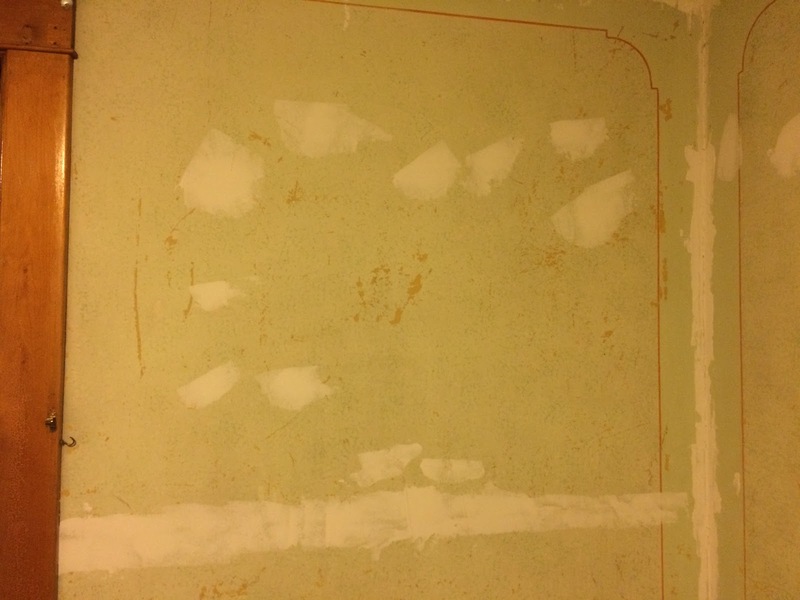 Chiefly, I had to remove the little snagged bits of wallpaper left, and wash off the wallpaper glue. This worked much more easily than it had in any other room. I filled a bottle with half vinegar, half water, and a squirt or two of Dawn dish soap. 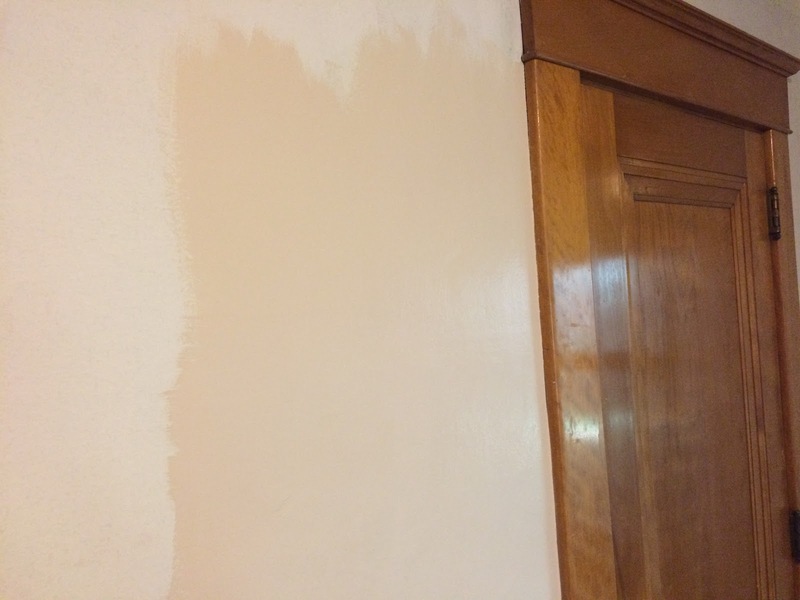 I sprayed that on the wall, let it sit for a few minutes, and then scrubbed with a sponge dipped in hot water. Rinse the sponge, so on and so forth. 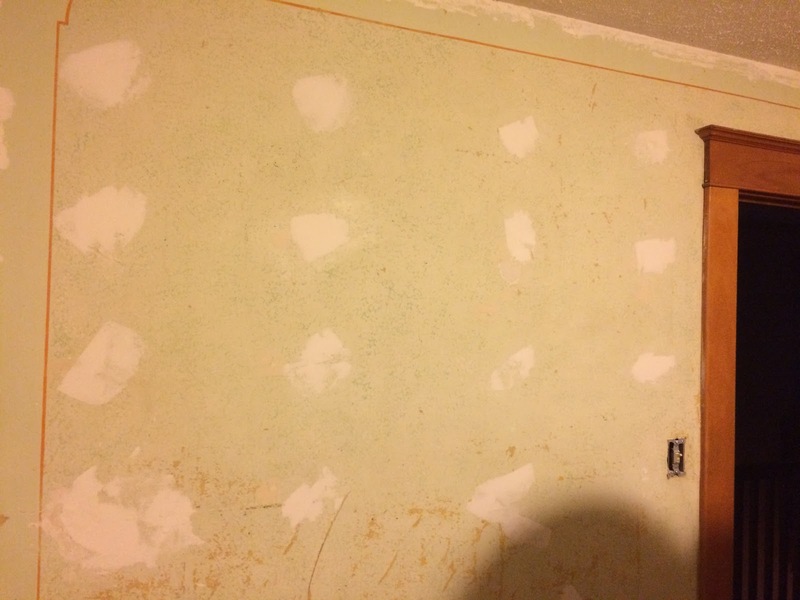 It took a few days, doing one wall a day after work, but it wasn’t hard work. I could have easily done it in a day if I had time. Next: patching. 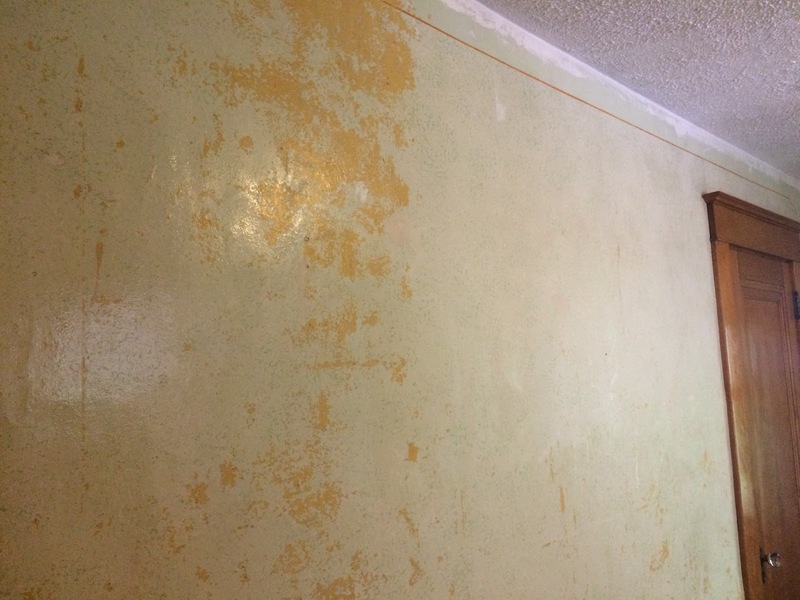 I get kind of fanatical about patching, and this room in particular had a loooooot of little patching to do. You can see one of the holes in the photo above, leftover from the electrical work. So this took a few more days, because a layer of patching has to dry up to 24 hours before you do the next layer. 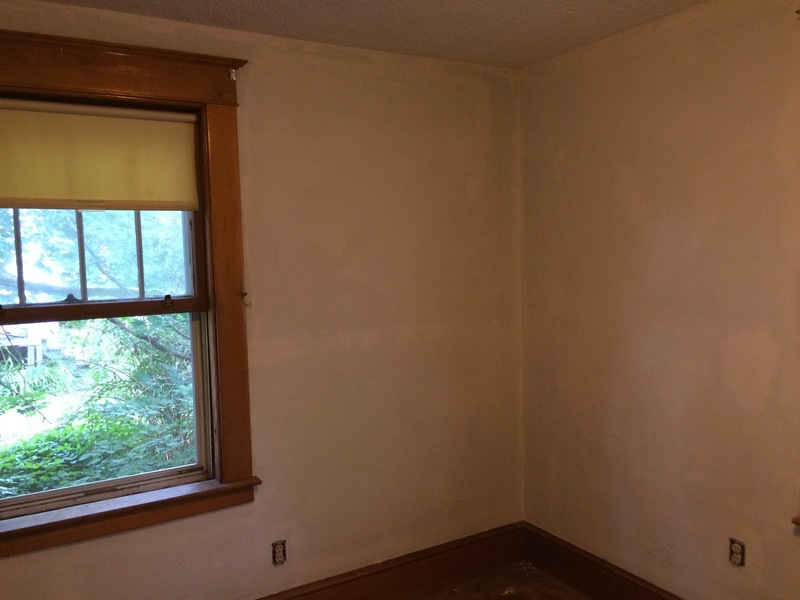 Next up: priming. 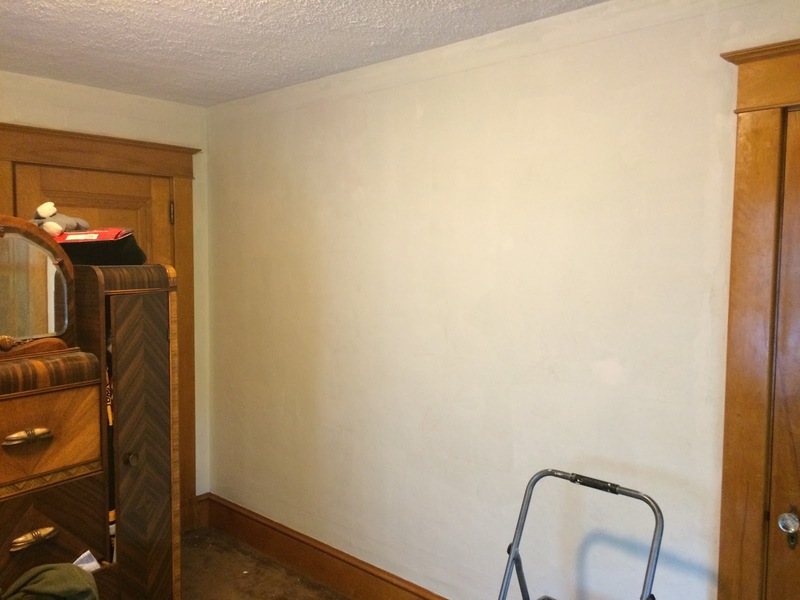 Every wall gets primed with oil-based Kilz primer so that I can be neurotically safe and sure about any wallpaper residue. 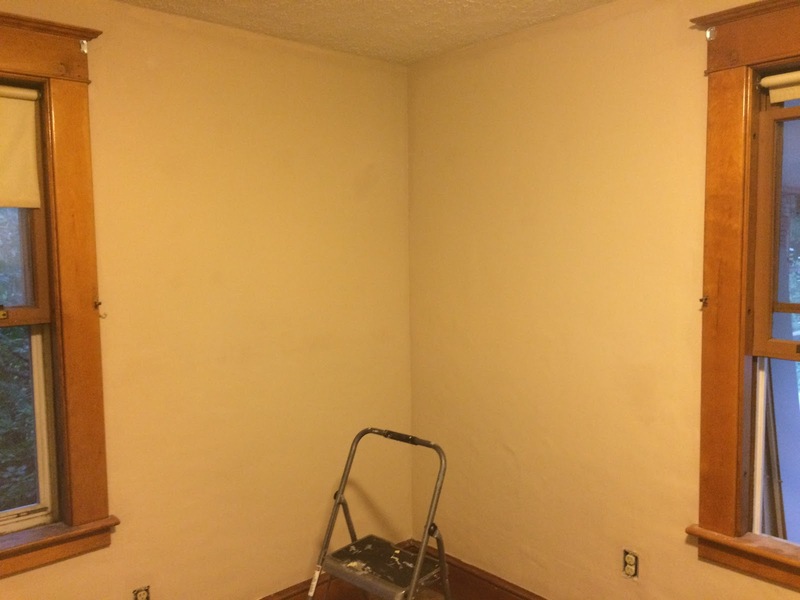 Then, color: Sherwin Williams “Sand Dollar” which does not come through in photos but is essentially a warm beige. 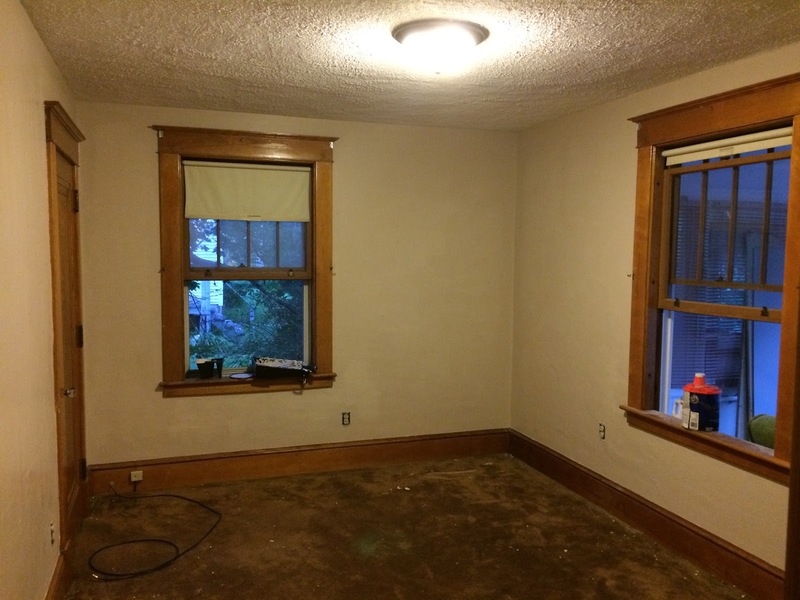 I kind of wish it had been a shade or two darker, but this is the darkest room in the house, so – it’s probably good to stay light. 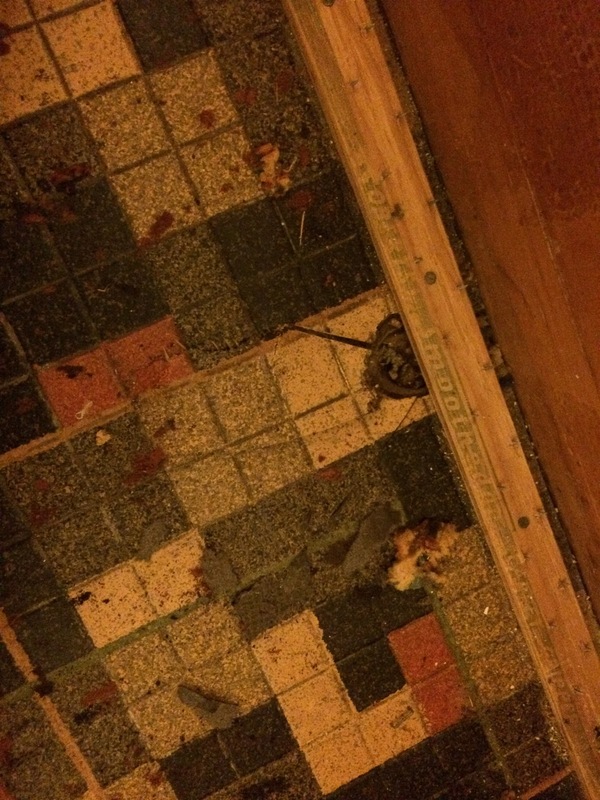 Oh yes, someone glued down linoleum over the gorgeous maple hardwood floor. Yeah. YEAH. So I promptly put the carpet back down and set it aside for another day. Well, after yelling a lot and wandering around in a daze of heartbreak. 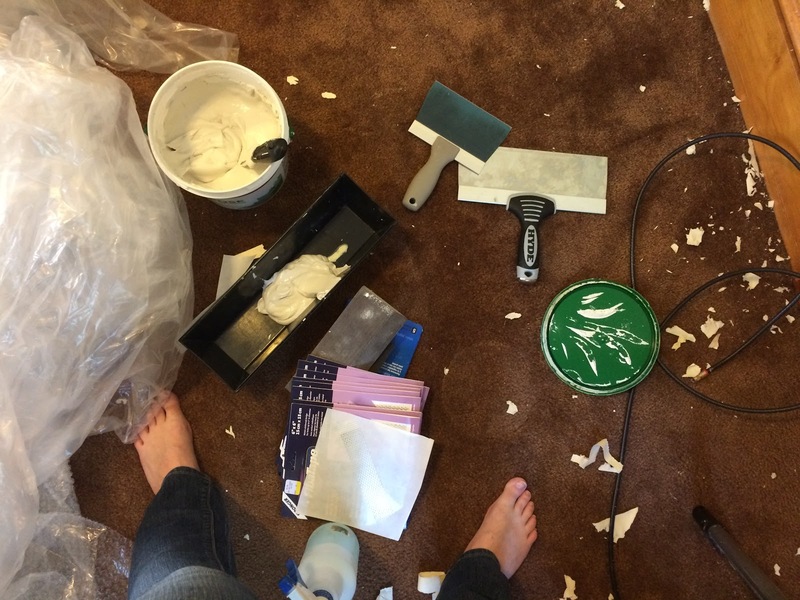 I am feeling a smidge better because as you can see in that last picture, the glue has dried up quite a bit and it might be possible to take it all up without damaging the floor too much. Before I dig into it, though, I have a call in to get it tested for asbestos. Never dull! 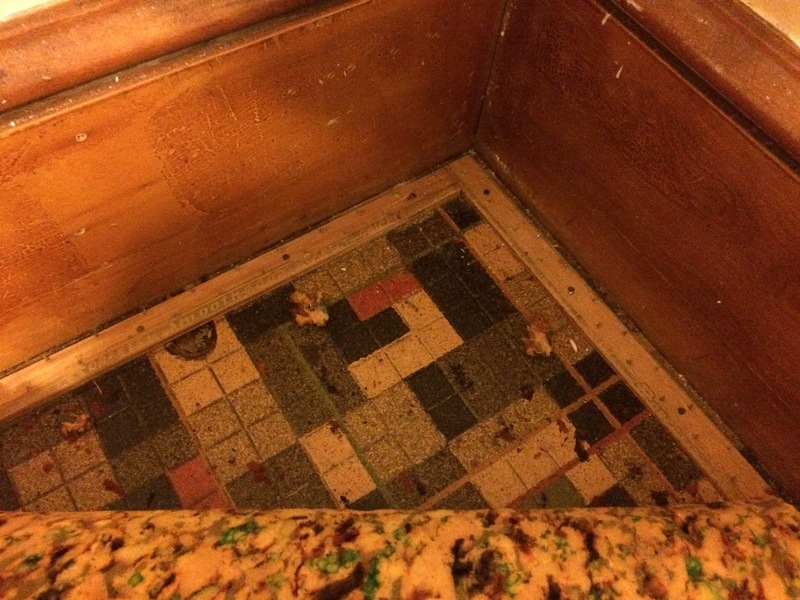 I will never understand people's obsession with ruining hardwood. 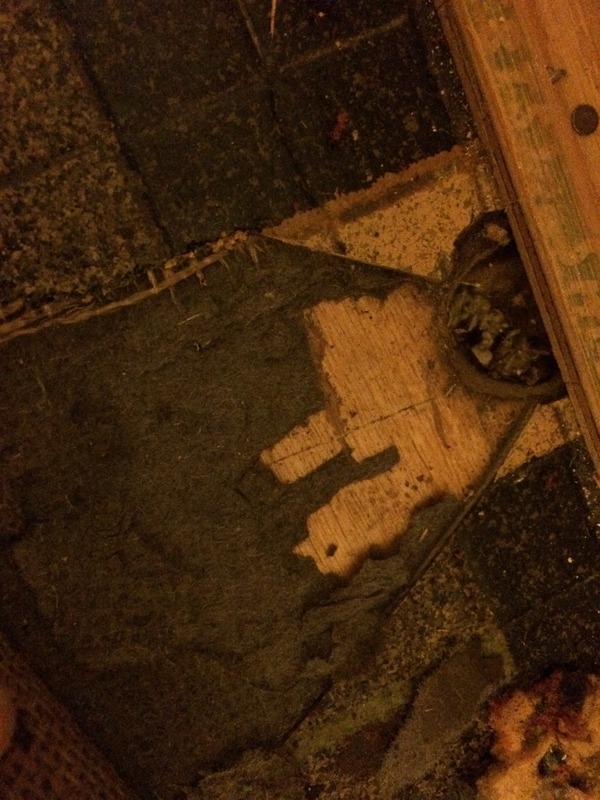 I do not know what possesses people to do things like glue laminate over hardwood. I do not understand many decisions that people make about houses, actually. Fingers crossed you don't have asbestos! Such a shame. Hope it comes up easily!